The traditional colors of Mardi Gras — purple, green, and gold — usually are associated with King Cakes, beads, costumes, and masks. 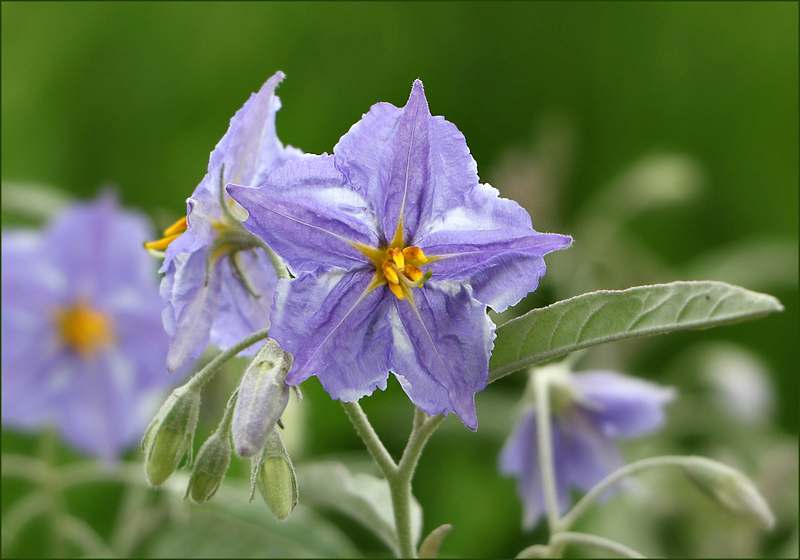 But over the course of a season, the silverleaf nightshade (Solanum elaeagnifolium) displays those same colors: first in flower, then in unripened and maturing fruits. 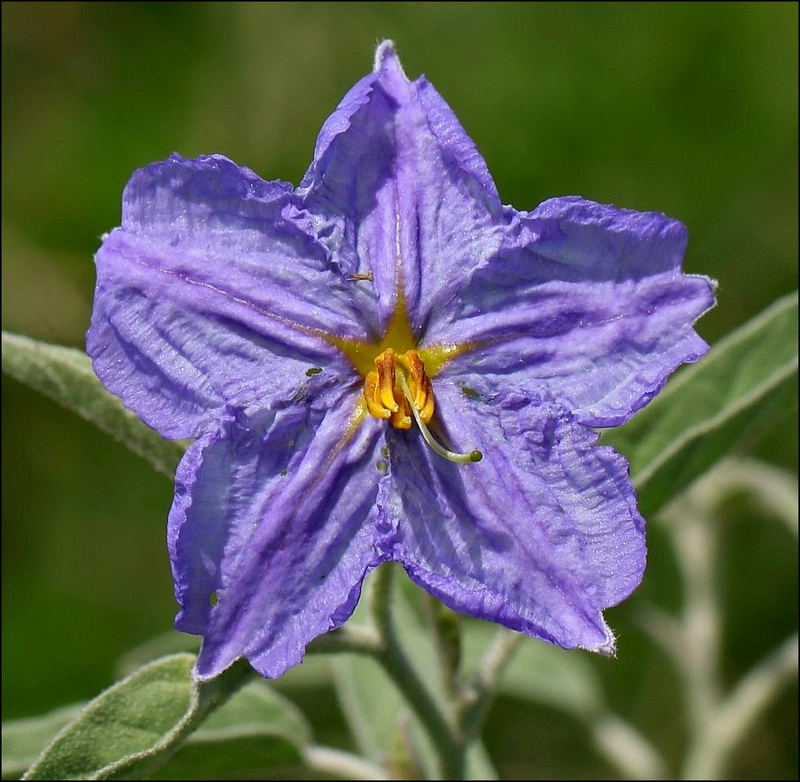 A member of the large family known as Solanaceae, the silver-leaf nightshade (Solanum elaeagnifolium) clearly is a relative of the lovely wolfberry. 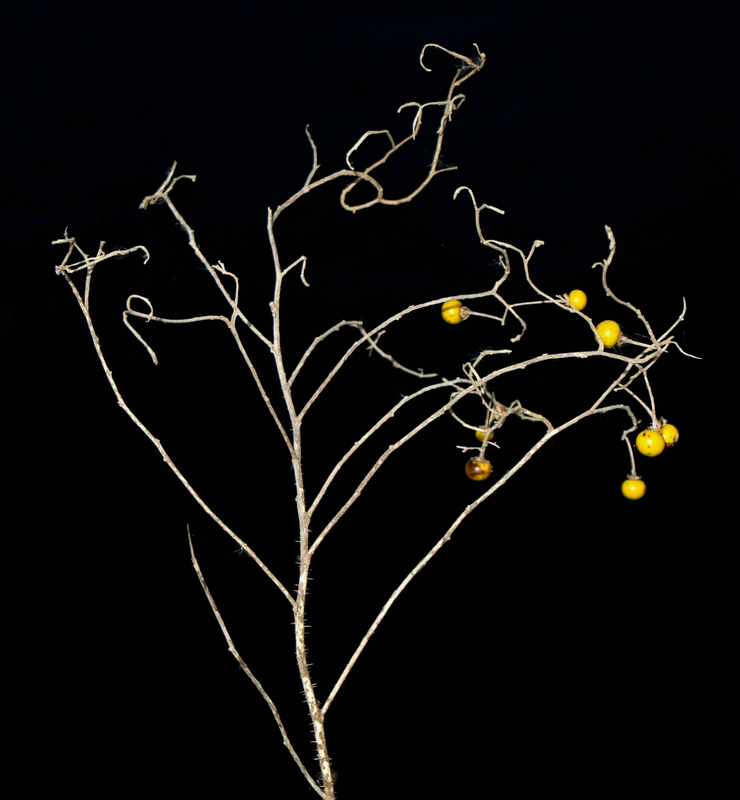 Despite differences between the plants (yellow or gold fruits on the silverleaf nightshade rather than red, five petals rather than four, and fuzzy — even prickly — leaves and stems), the similarities are striking. 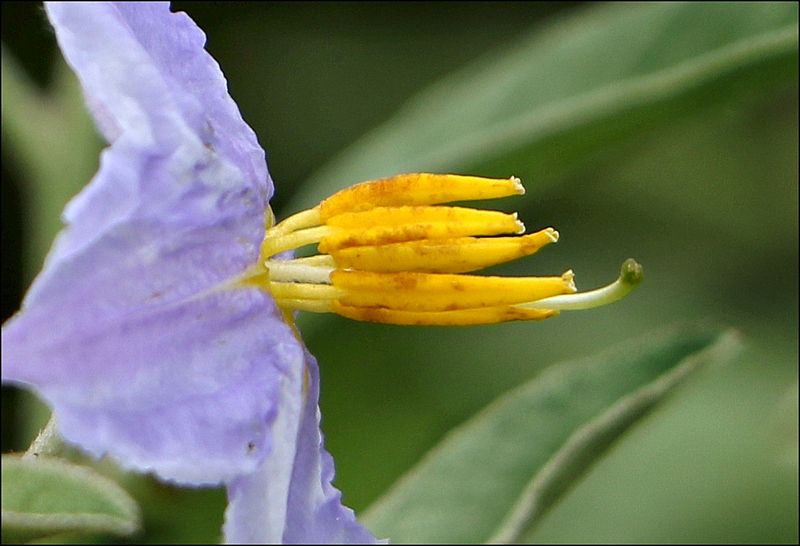 Solanum species generally possess one unusual characteristic: their banana-shaped stamens. In the plant world at large, mature anthers often split down their sides in order to release pollen. 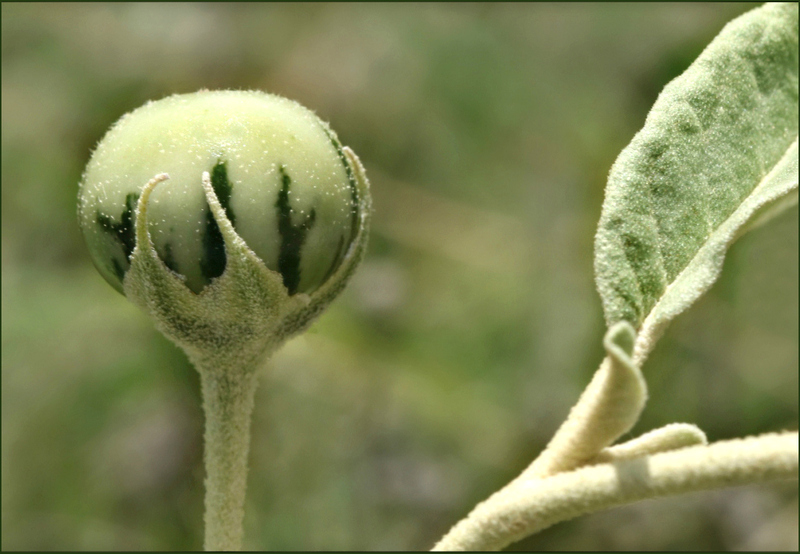 Instead, silverleaf nightshade and other members of the genus expel their pollen through tiny holes at the anthers’ tips. 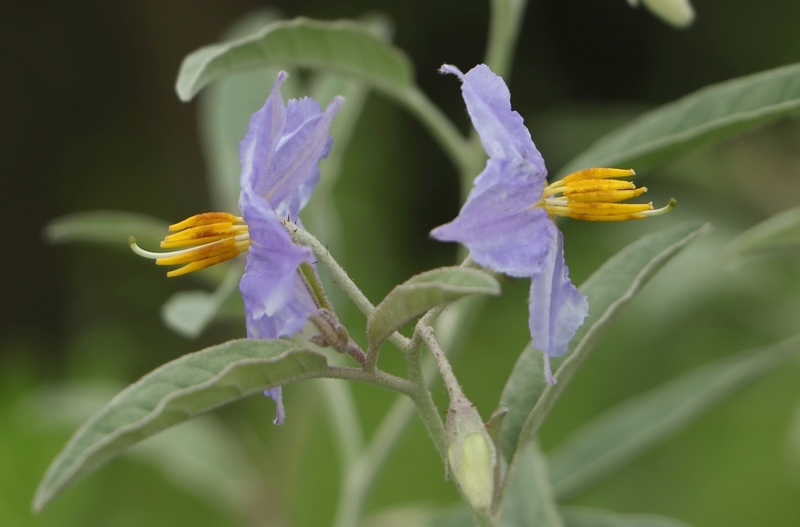 Another characteristic which makes silverleaf nightshade especially easy to find in the fall and winter is the unpalatable nature of their fruits. 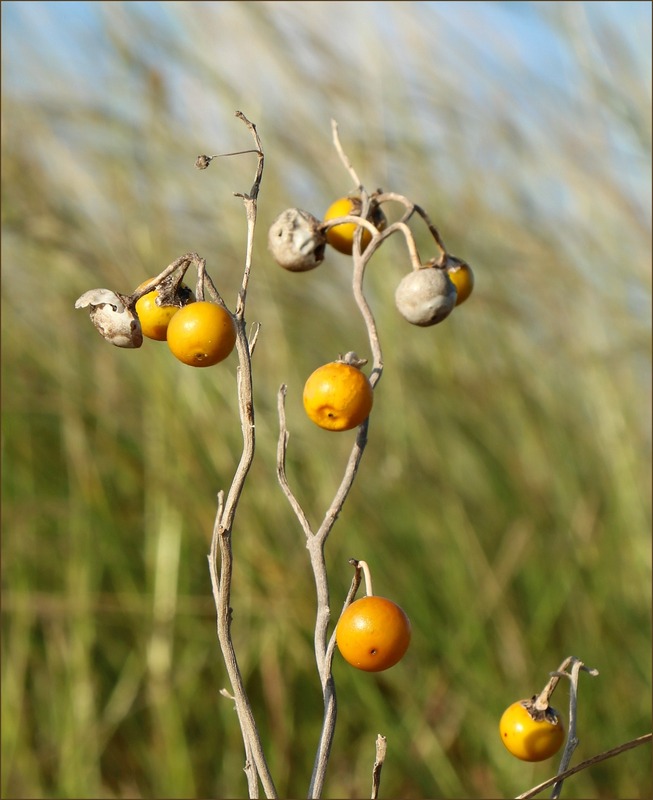 While plants like yaupon, palmetto, beauty berry, and peppervine often are stripped of their berries by November, the golden fruits of the nightshade linger on. 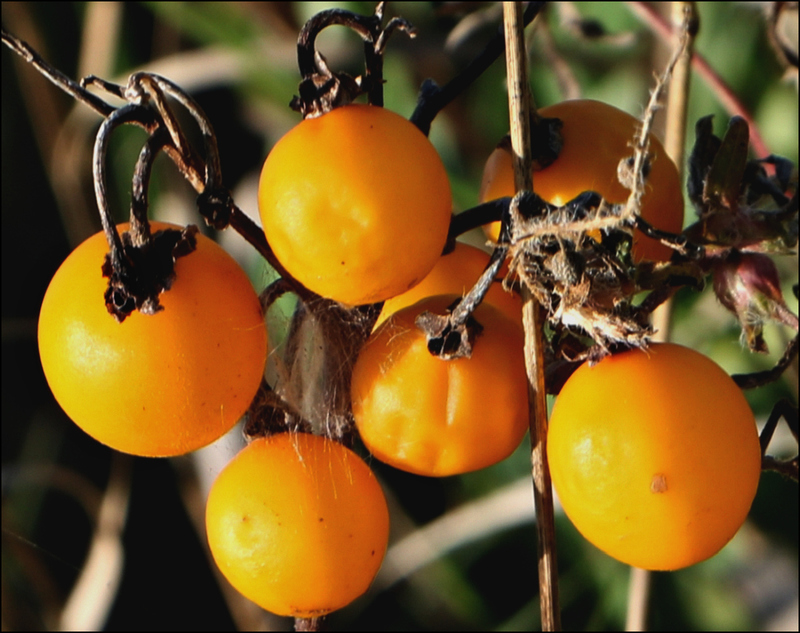 It’s not surprising to find nightshades still laden with fruit in January or February and, despite color loss and shriveling, some will hold them even longer. Poet Robert Frost’s poignant conclusion that “nothing gold can stay,” may be true, but at least one autumn plant seems willing to give it a try.